For those seeking an off-beat tour of Boston’s disturbing, yet exciting past, walk through the city streets with Boston By Foot. One of their tours, The Dark Side of Boston has historically accurate stories of crime, disease, disasters, the influenza epidemic, anarchists, pirates and more. 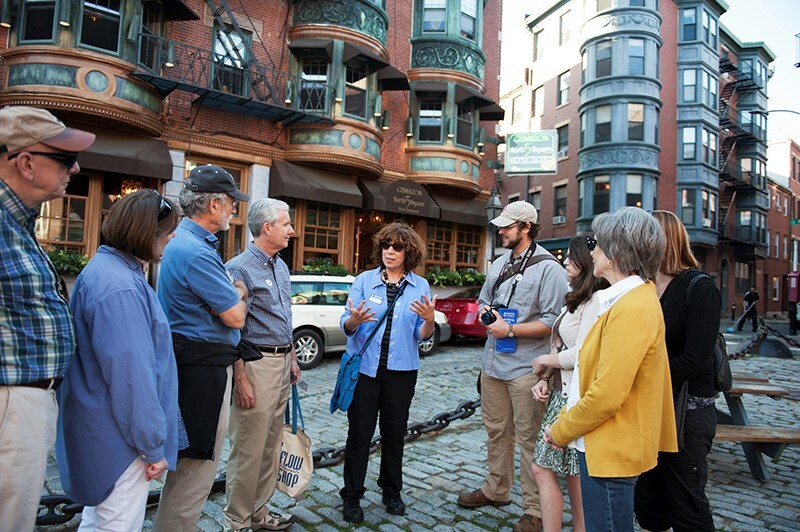 This tour enables visitors to discover Boston’s dark past throughout different eras ranging from the early 1700s all the way up to the prominence of Whitey Bulger. “If you love good stories, this is a wonderful tour. It’s all about people their darker sides, how people respond to disasters, disease and bad things that happen,” explains Boston By Foot executive director Samantha Nelson. 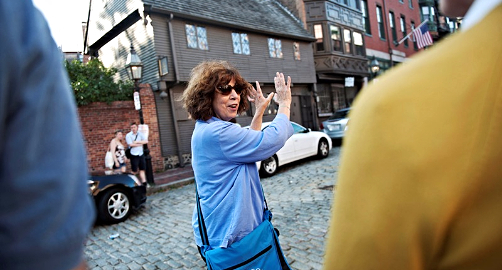 What made you decide to become a volunteer tour guide for Boston By Foot? I was new to Boston, [originally from Pittsburgh, PA] and I thought it would be a great way to get to know the city. It was also a way to meet other people who are interested in history. I was interested in brushing up on public speaking skills and I definitely improved that ability. It was a way to challenge myself. What was the process like to become a tour guide? It was a rigorous process with a six-week-long training period. Every Saturday, I had to attend lectures about the history of Boston, write papers and go to public speaking mini-seminars. I had to do a lot of practice, going out and doing practice tours with mentors. Now, they even have a session on storytelling and engaging the audience. How do you prepare for doing tours? I prepare a lot. I read books and articles, I try to get my hands on as much material as possible. I over pre-pare. Do you ever get heckled or challenged by people on the tour? Very few times does anyone challenge you. I was worried about being heckled but everyone is very enthusiastic and it’s more small talk than anything else. How long did it take you to become comfortable with the material? It took about two years before I got really comfortable. Doing The Dark Side Tour helped, I know that material really well. The information on The Dark Side Tour is way more fun because the audience is very game. What makes The Dark Side of Boston your favorite tour to give? There’s a game audience. They’re there because they want to be there. It’s off beat and in a cool neighborhood. We stick to the North End. It’s in the evening so there’s the hustle and bustle on the street, a very cool environment. It is so much material. There are four different guides, and it is a different tour each time. We stick to the basic information but with so much information, we can pick and choose a little bit. You could take it once a year and get a different experience. What aspect of The Dark Side of Boston engages guests the most? Probably The Molasses Flood. People think it’s funny, but it was actually tragic. It’s a story unlike anything else. People were actually killed by molasses. Do you have any favorite stories that tend to surprise people? Pope’s Night was an annual celebration to celebrate hatred of the Pope. That is surprising to people and is something many people don’t know. We think of Boston of being an Irish Catholic town, but if you were Irish Catholic during the colonial times, it was dangerous. That is surprising to many people, I mean…we have a basketball team named the Celtics. Why choose ‘The Dark Side of Boston’? It’s a fun tour to give and people tend to enjoy it and stay engaged the entire time. This isn’t your father’s tour of Boston. This is the hidden history of Boston. This is the juicy stuff.